The fully sealed Terra winch is built to handle all your ATV work and recreation activities. It has a heavy-duty, 1.3-hp motor; free-spool clutch; 50' wire rope and roller fairlead; hand-held remote; and a rocker switch for in-seat winching. 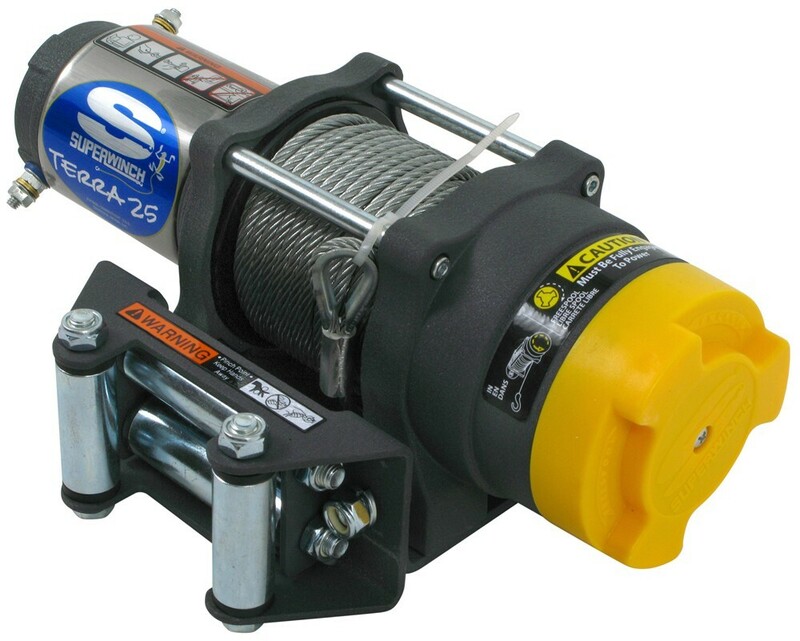 Call 800-298-8924 to order Superwinch electric winch part number SW1125220 or order online at etrailer.com. Free expert support on all Superwinch products. 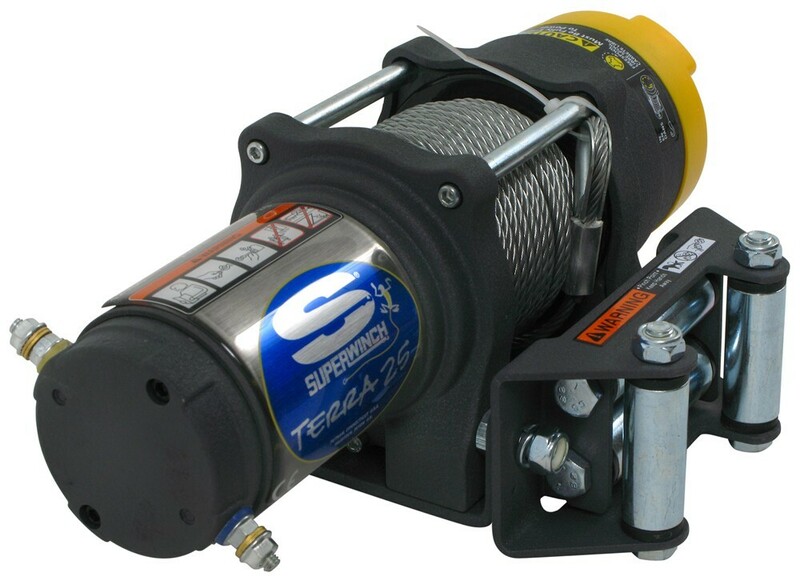 Guaranteed Lowest Price and Fastest Shipping for Superwinch Terra Series ATV Winch - Wire Rope - Roller Fairlead - 2,500 lbs. 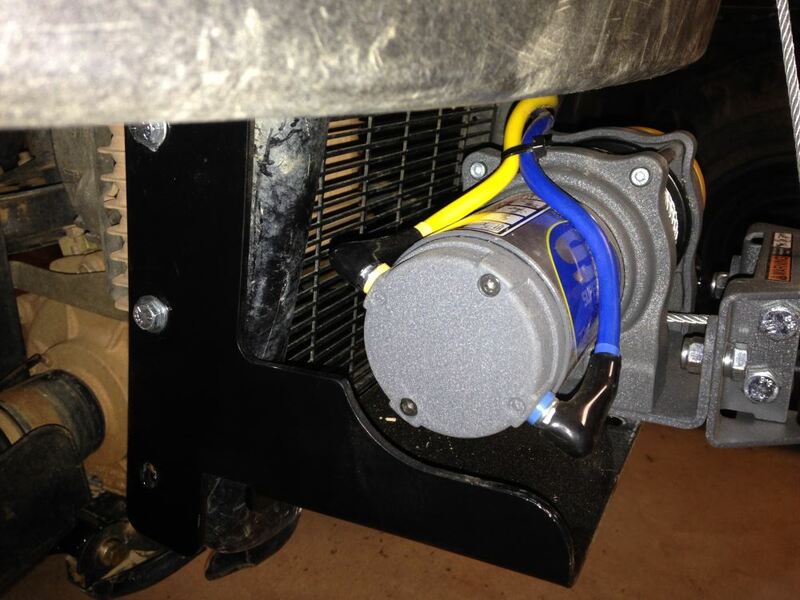 Electric Winch reviews from real customers. The fully sealed Terra winch is built to handle all your ATV work and recreation activities. It has a heavy-duty, 1.3-hp motor; free-spool clutch; 50' wire rope and roller fairlead; hand-held remote; and a rocker switch for in-seat winching. 4-Bolt mounting pattern: 3" x 4.87"
The fully sealed Terra winch is built to handle all your ATV work and recreation activities. 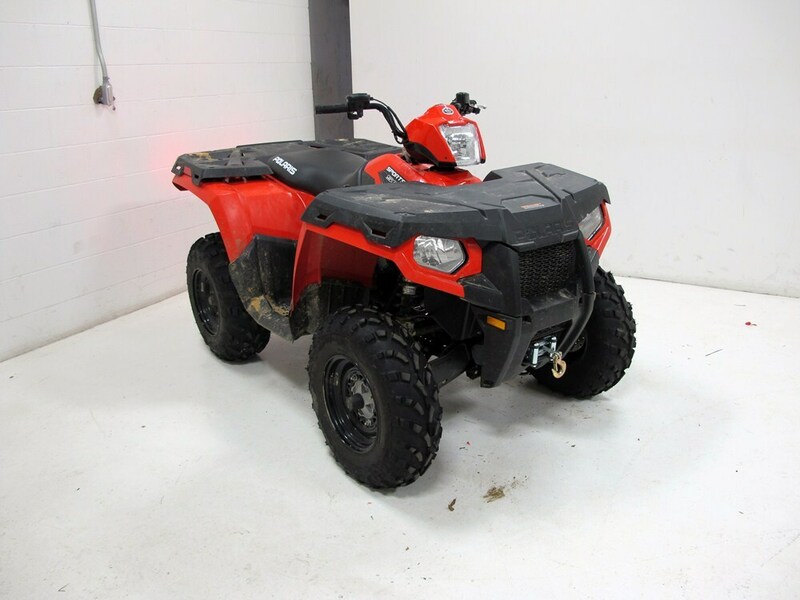 It has a heavy-duty, 1.3-hp motor; free-spool clutch; 50' synthetic rope and hawse fairlead; hand-held remote; and a rocker switch for in-seat winching. Order: RelevanceNewestRating - High to LowRating - Low to High The fully sealed Terra winch is built to handle all your ATV work and recreation activities. It has a heavy-duty, 1.3-hp motor; free-spool clutch; 50' wire rope and roller fairlead; hand-held remote; and a rocker switch for in-seat winching. It sounds like the switch itself is bad. Perhaps one of the contacts inside broke. You know the winch is still good because it will power in and out. 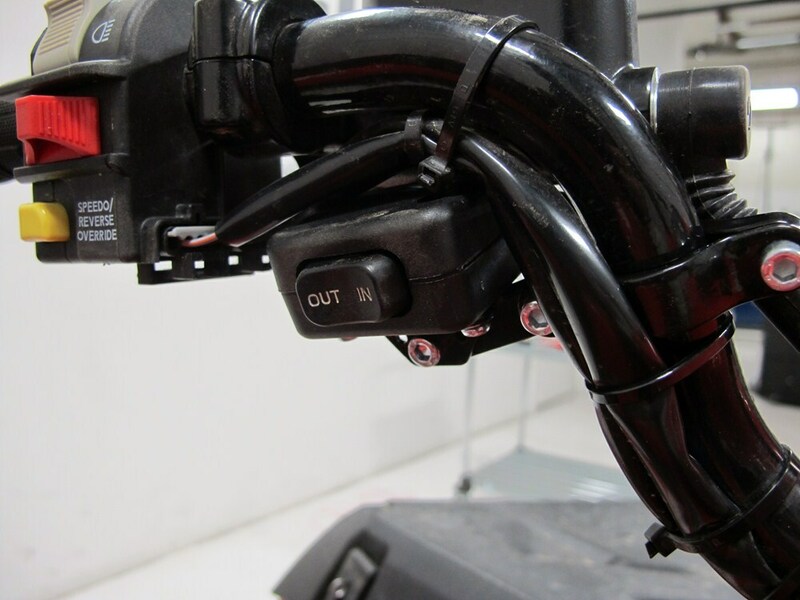 Since you can flip the wiring around to switch winch operation, it suggests that the switch can no longer send current in both directions. I would contact Warn about getting a replacement switch. There may be other parts that could cause this, namely relays or other electrical components, but Warn should be able to help you out. Thanks so much for the reply. Since posting question I went through and cleaned all contacts. I also took the switch apart and yes it was corroded. I cleaned it up and when all was said and done it worked again. Thanks again this is my first quad and what a work horse it is. At 53 years old and taking care of a 200 acre farm I should have bought one many years ago. Thanks again have a great holiday. Merry Christmas. Thanks for following up with us. Glad to know it was a quick, simple fix. I havent needed to use the winch yet but it looks good on my 590i. Thanks for following up on the winch and Mount. They are working great and as expected so I am very satisfied and would recommend them to my friends as they come up. It is still working out fine, no problems. Do you have a question about this Electric Winch? 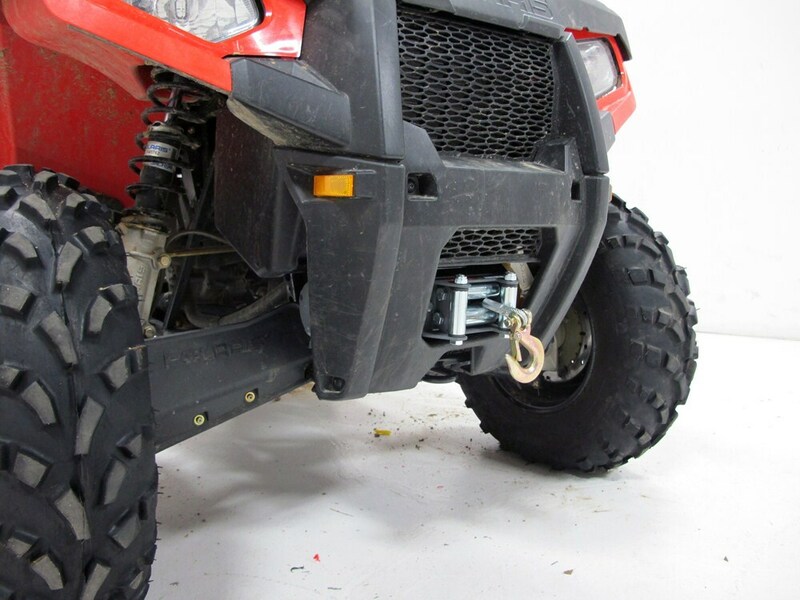 The Bulldog Winch Custom-Fit Steel ATV Winch Mount # BDW15107 along with the roller fairlead # BDW20055 or hawse fairlead # BDW20224 are a confirmed fit for your 04 Honda Rancher. It will be compatible with the Superwinch LT 2500 as well as the Terra Series # SW1125220 or # SW1125230. The LT3000 # SW1130220 is also a fit. The winches and mounting plates are compatible. The winch plate you need for your 2006 Arctic Cat 400 is the part # 2202873. 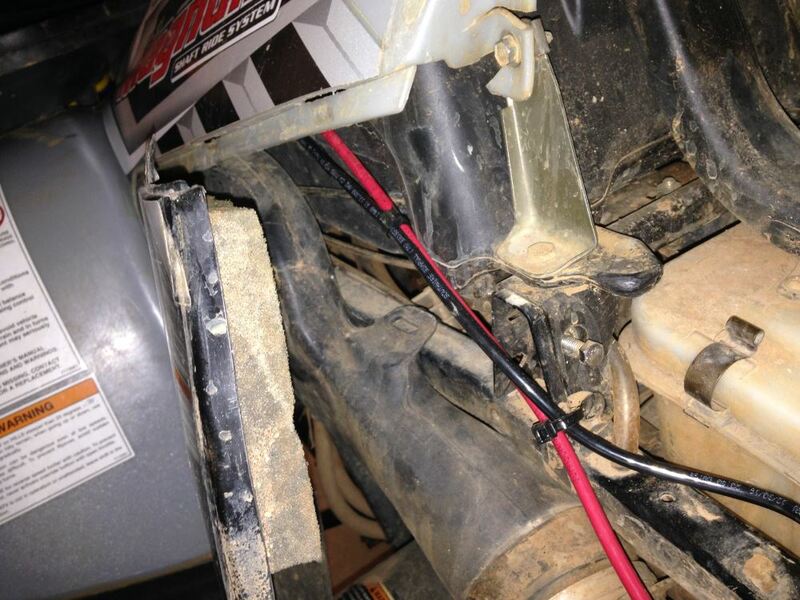 It attaches to the winch plate you have found on your quad. 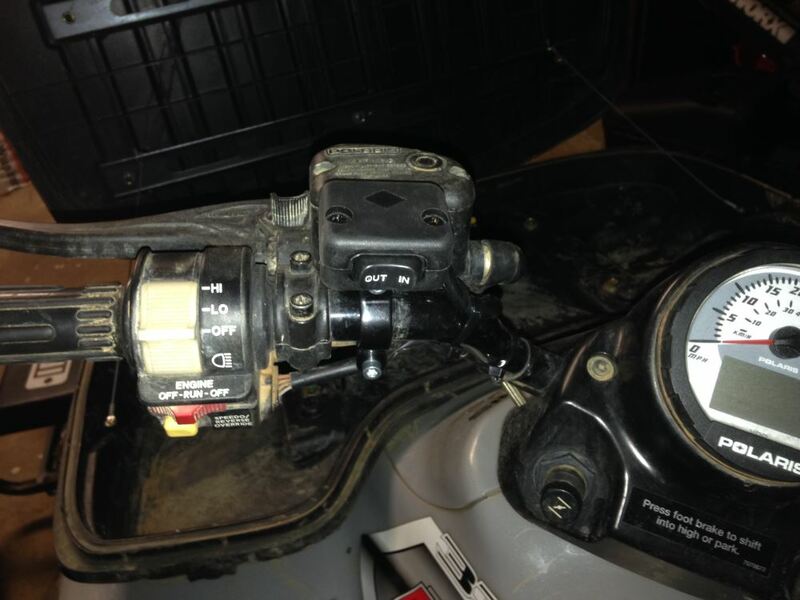 The Superwinch part # SW1125220 will work well with this mount and your ATV too. I wasn't able to find any info on where a relay might be located though. I spoke with my contact at Superwinch and you will need the Replacement UT3000 Control Box, # SW87-17428, to fix your winch. 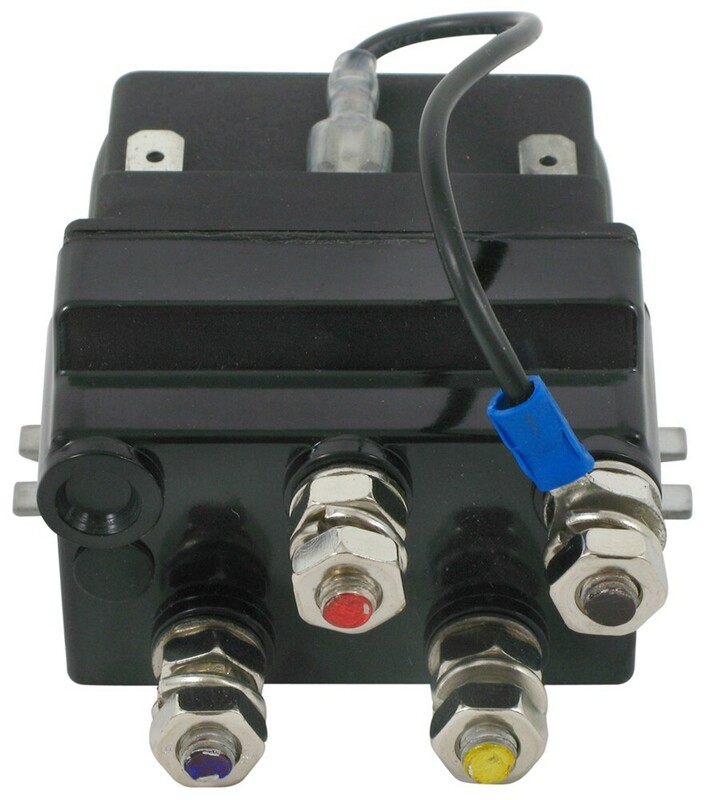 This complete assembly includes both the in and out relays. 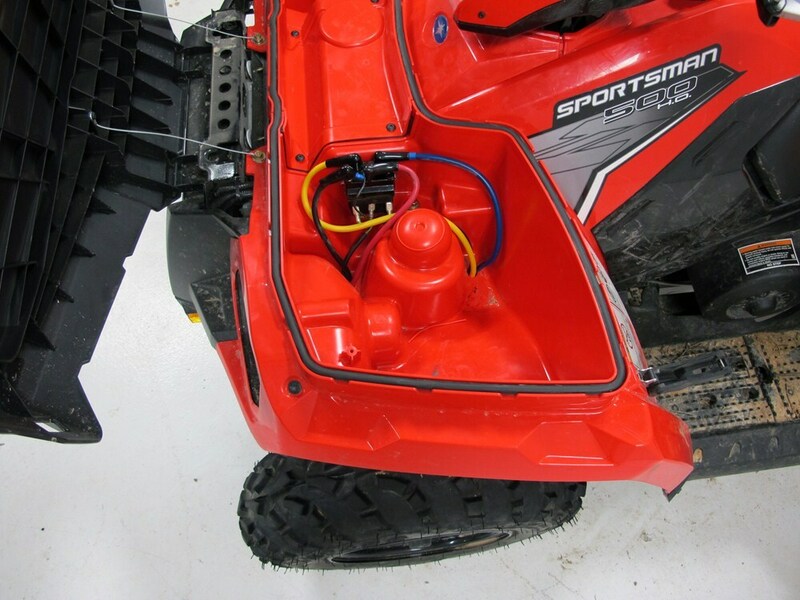 For Superwinch ATV winch # SW1125220 you will need mount kit # BDW15151 to install it on your 2014 Polaris Sportsman 550. The fairlead is included with the winch. If you already have the winch but need just the fairlead it is # SW2349. 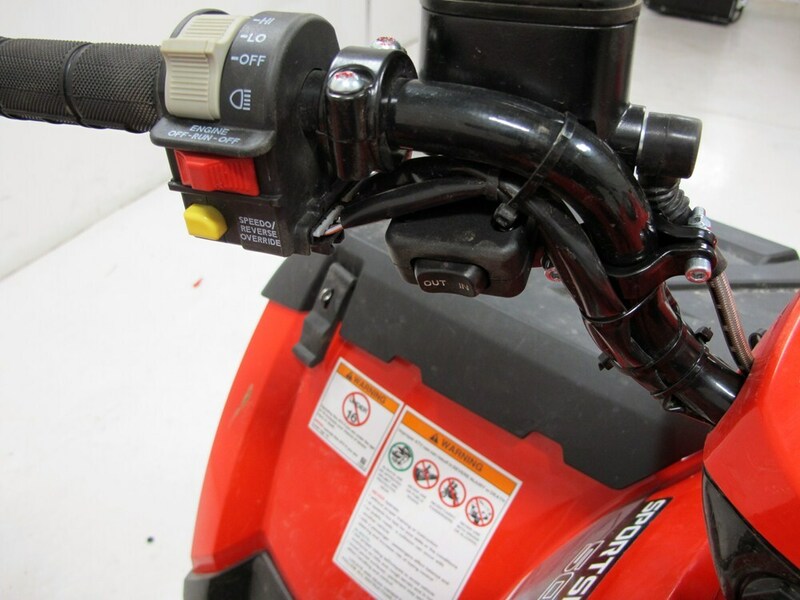 The Superwinch Terra Winch part # SW1125220 is an electric ATV winch that has a remote. I attached an install video for this winch for you to check out as well. Yes, to install the Superwinch part # SW1125220 that you referenced on your 2016 Honda FourTrax Foreman Rubicon you would want the mount part # SW2202921. Yes, the Superwinch part # SW1125220 will work with the power that is seen on a car battery. 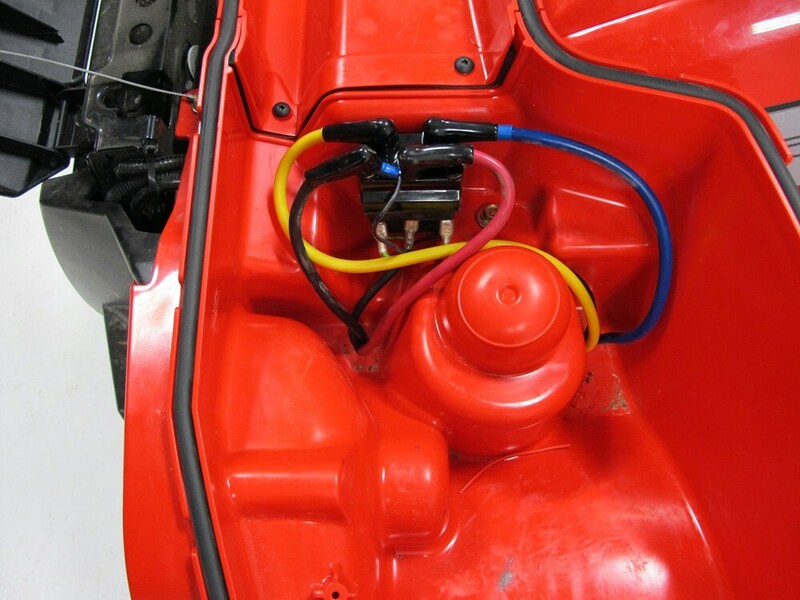 12 volt car batteries are DC power sources like what this winch is designed to work with. Houses use AC power which is different from what a car battery and the winch you referenced use. 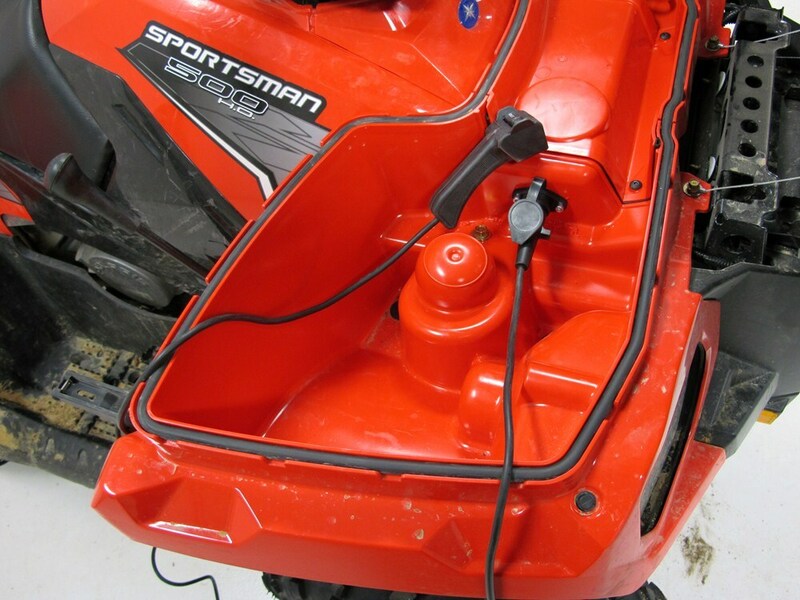 If the # SW1125220 isn't working with the battery you bought most likely the battery needs to be charged or the winch is not wired up properly as it would be the correct power source. The Bulldog Winch Mount part # BDW15151 is a fit for your 2015 Polaris 325 Sportsman ETX. This would work well with the part # SW1130220 or the # SW1125220. That being said Bulldog Winch has told me that their winch mounts work just fine with Superwinch winches. Superwinch has not yet confirmed mount kit fits for the 2017 Polaris 850 Sportsman but we do have a confirmed winch mount fit from Bulldog Winch, their part # BDW15151, which fits the 2017 850 Sportsman XP/HO (including Touring). Other 850 Sportsman versions are not yet confirmed. 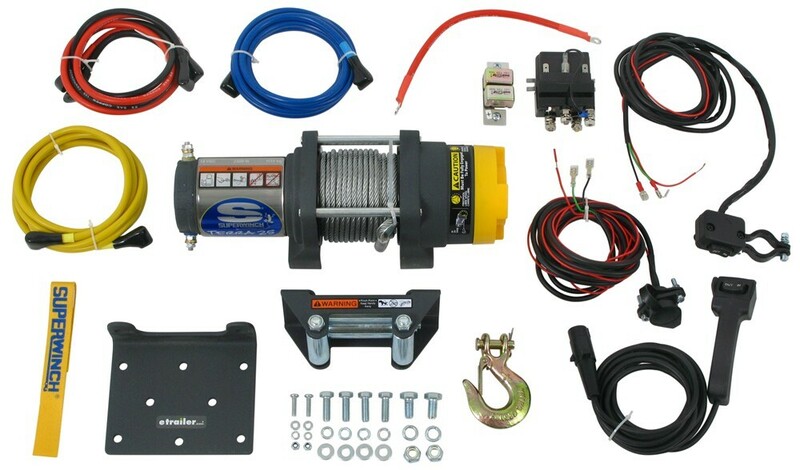 You can use this to install Superwinch Terra Series 2500 ATV Winch # SW1125220. For the 2004 Honda Rubicon 500 TRX you actually want the mount part # BDW15137 which is a confirmed fit. The winch part # SW1125220 would then work well with this mount. Yes, you can use Superwinch ATV winch # SW1125220 on your 2016 Can-Am Maverick. You just need the correct mounting kit. I recommend mounting kit # SW2202916. 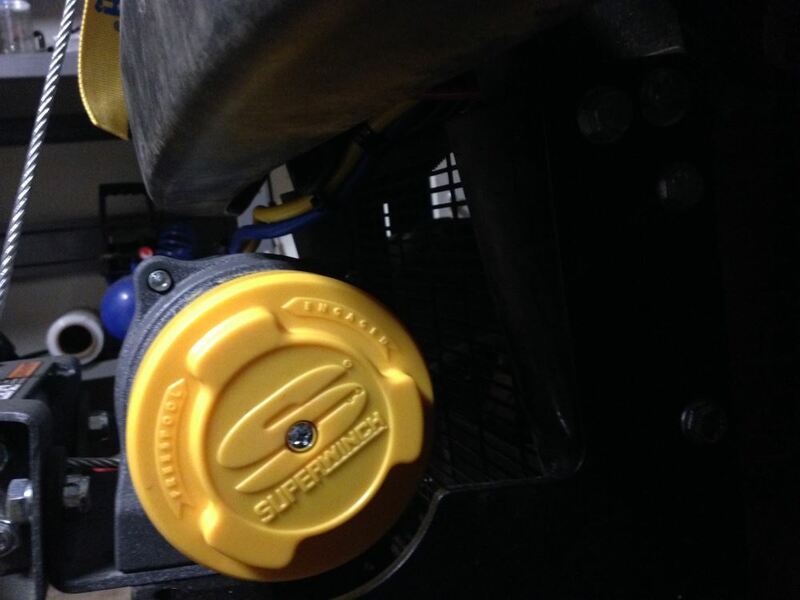 It is a custom fit mounting kit for your Maverick and the winch will fit it as well. 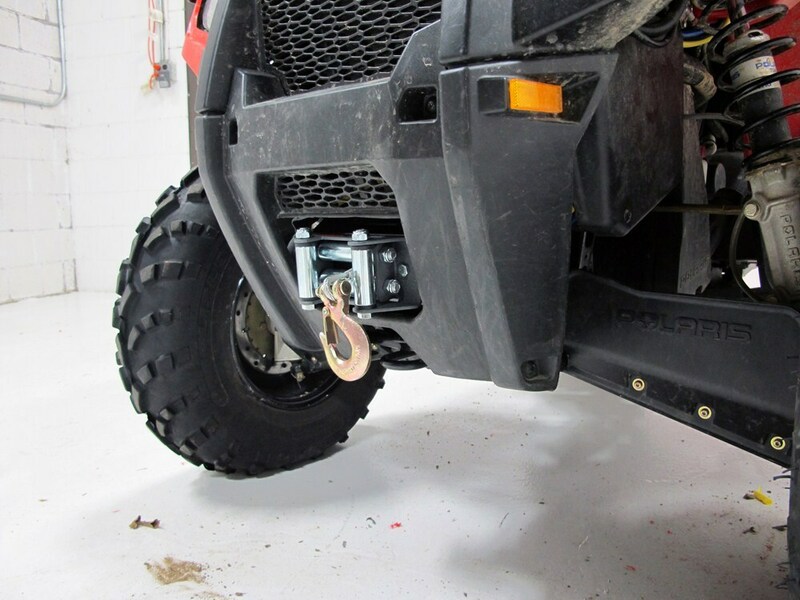 To mount a Superwinch brand winch to your 2014 Polaris Ranger, you will want to use the Superwinch ATV Winch Mount part # 2202915. 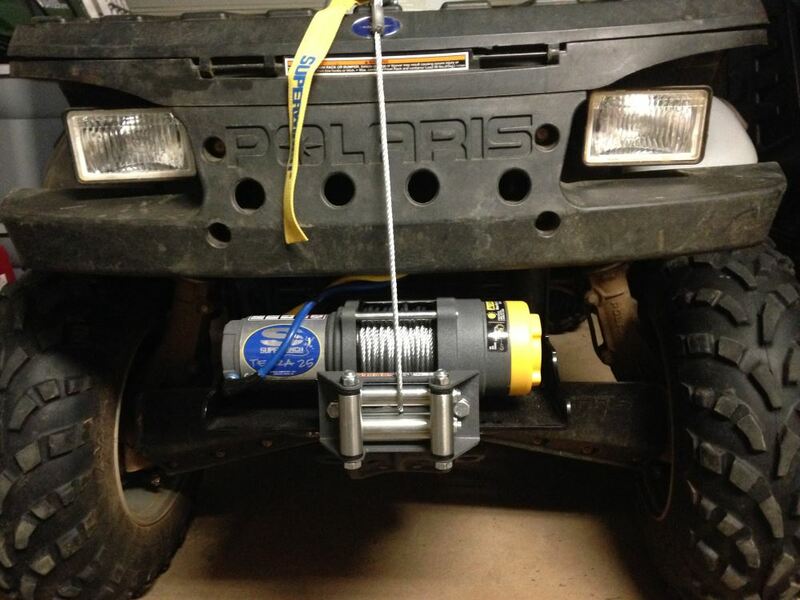 For a 3,000 pound winch you will want to use the LT3000 # SW1130220, Terra 3500 # SW1135220, or Terra 3500 SR # SW1135230. This mounting kit is also designed to work with several other Superwinch LT and Terra winches: the LT2000 # 1220210, the Terra 2500 # SW1125220, and the Terra 2500 SR # SW1125230. 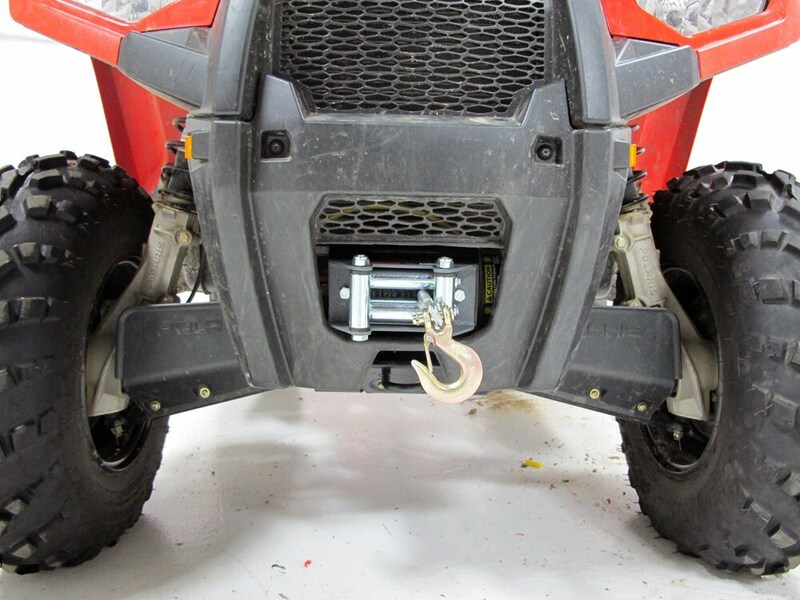 The correct winch mount for your 2005 Polaris Sportsman 800 is the part # 2202863. I confirmed this fit with Superwinch. For a winch kit I would recommend the Superwinch Terra 25 part # SW1125220. 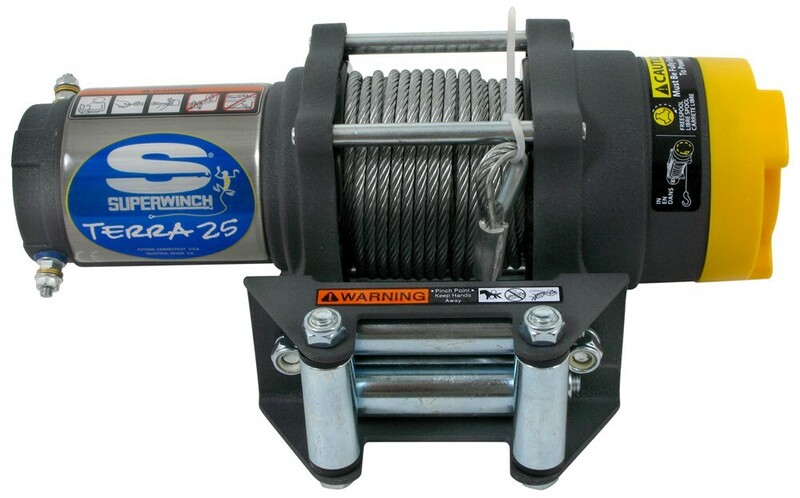 This winch has a 2,500 lb capacity that has a line speed of 9.5 feet per minute. Check out the review video I attached for more info. 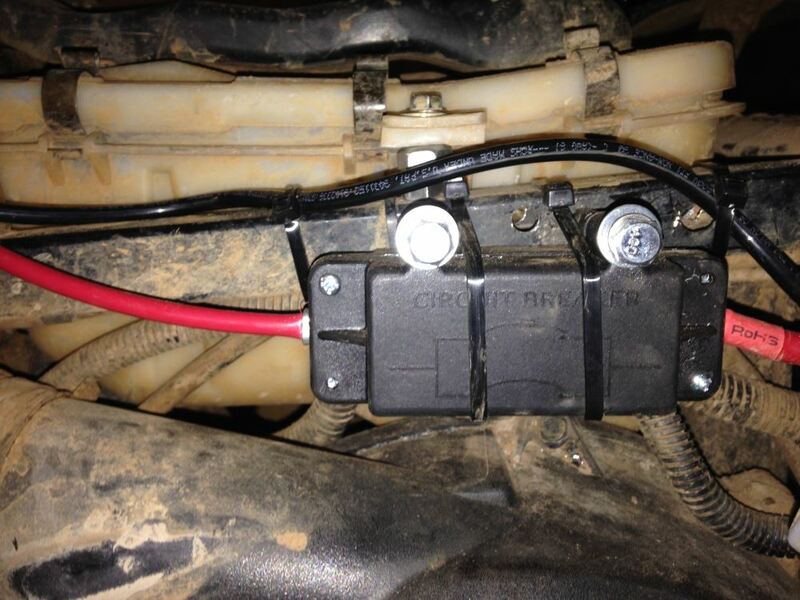 The only way I can safely recommend you install the Superwinch Terra Series ATV Winch - Wire Rope # SW1125220 on your 2010 Canam 650 is to use the wiring kit that comes with it. 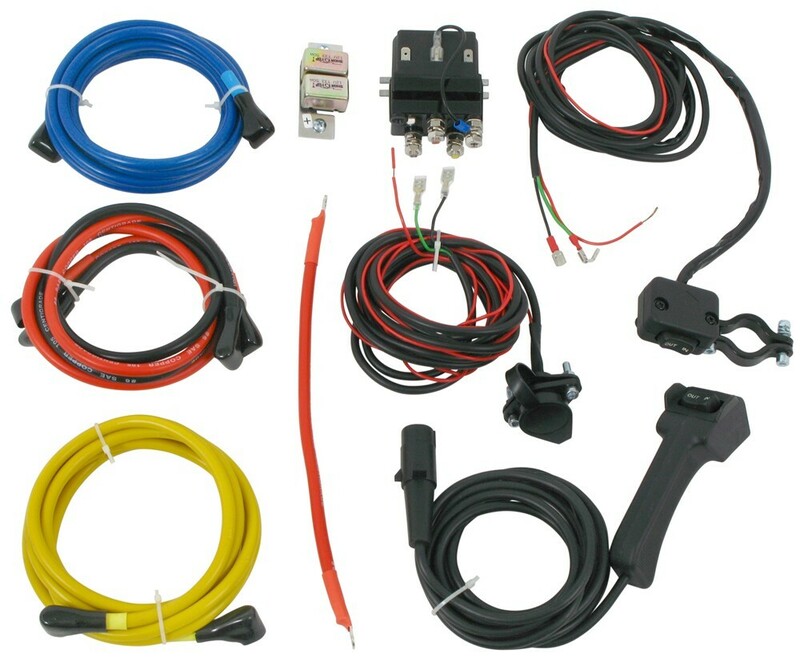 The wiring kit does include relays and circuit breakers that are rated for the amperage draw of this winch. What you have on your Canam may be properly rated, but without knowing for certain I can't make that recommendation. I attached an install video for this winch kit for you to check out as well. In order to mount the Superwinch Terra Series ATV Winch # SW1125220 referenced in your question to your 2017 Arctic Cat Prowler 700 XT you will just need the Bulldog Winch Mount # BDW15189. This custom mount is confirmed to fit your UTV and it will work great for the Terra Series Winch that features a 2,500 pound line pull capacity. Virtually any of the ATV designed winches will work on your 2006 Bombardier Outlander 400, the one I like the most for your application is the Superwinch Terra Series ATV Winch # SW1125220. This winch has a heavy-duty, 1.3-hp motor; free-spool clutch; 50' wire rope and roller fairlead; hand-held remote; and a rocker switch for in-seat winching. I attached an install video for you to check out as well. We do not carry the Five Oceans products but I was able to find out that their 2K winch model 3437 does not have an automatic stop. I also contacted our winch specialist SuperWinch and they confirmed that their winches like # SW1125220 and those from other brands like Warn DO NOT have a safety device like what you describe. These products rely on the user to stop applying power when the cable is fully retracted or when the load has reached it desired position. If your Suzuki 4-wheeler is a 400 King Quad we offer Superwinch mount # 2202895> I verified this fit with my contact at Superwinch. 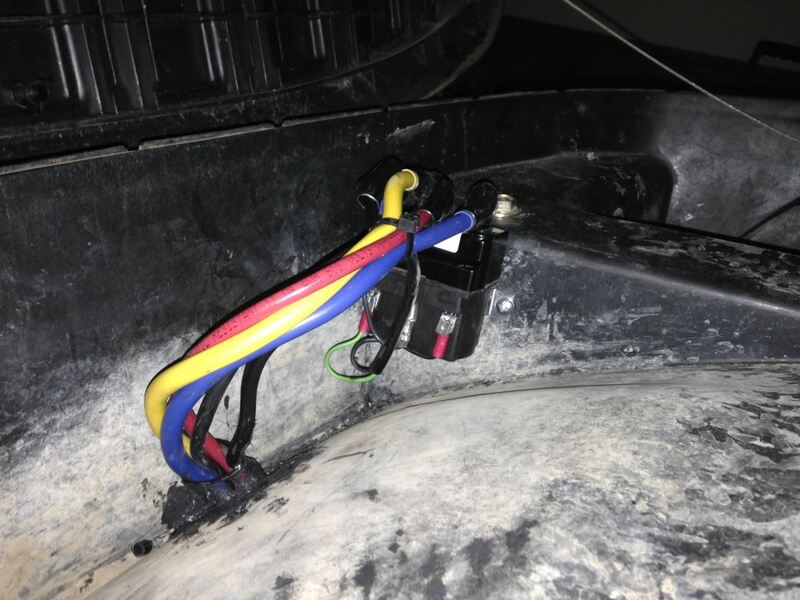 This mount is compatible with a range of winches: LT3000 # SW1130220 Terra 2500 # SW1125220 Terra 2500 SR # SW1125230 Terra 3500 # SW1135220 Terra 3500 SR # SW1135230 If you have a different model vehicle please let me know. 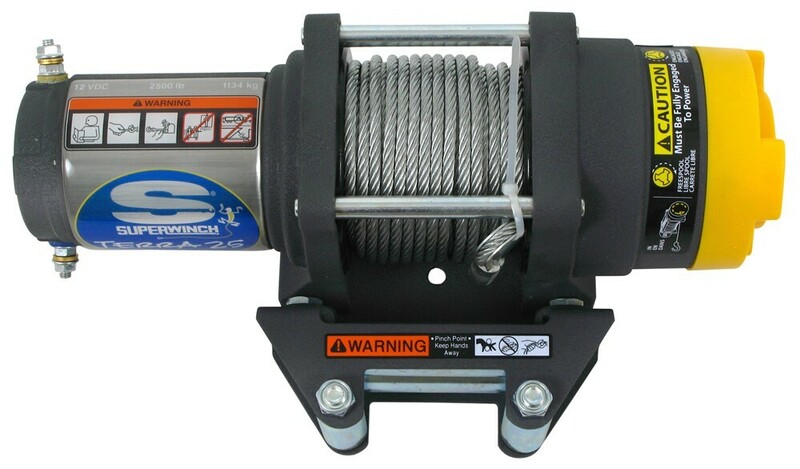 Highest quality electric winch for the best price. Most detailed, accurate electric winch information available.